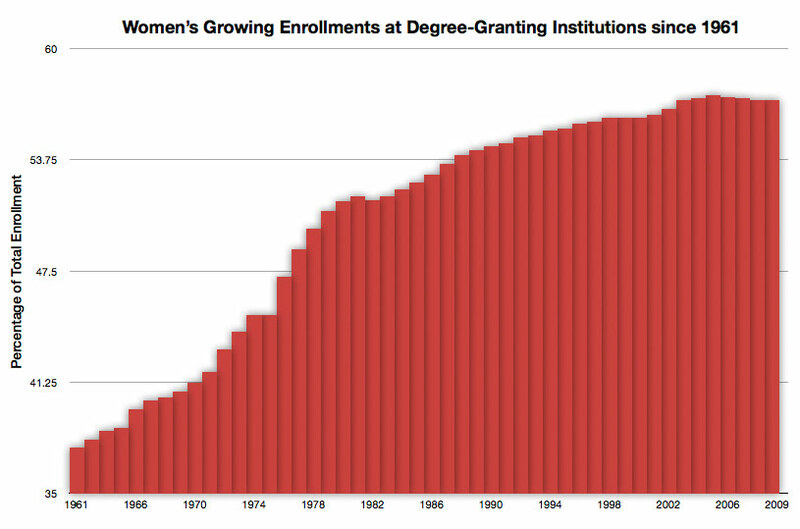 A half century ago in 1961, women made up 37.6 percent of all students enrolled in degree-granting institutions of higher learning in the United States. 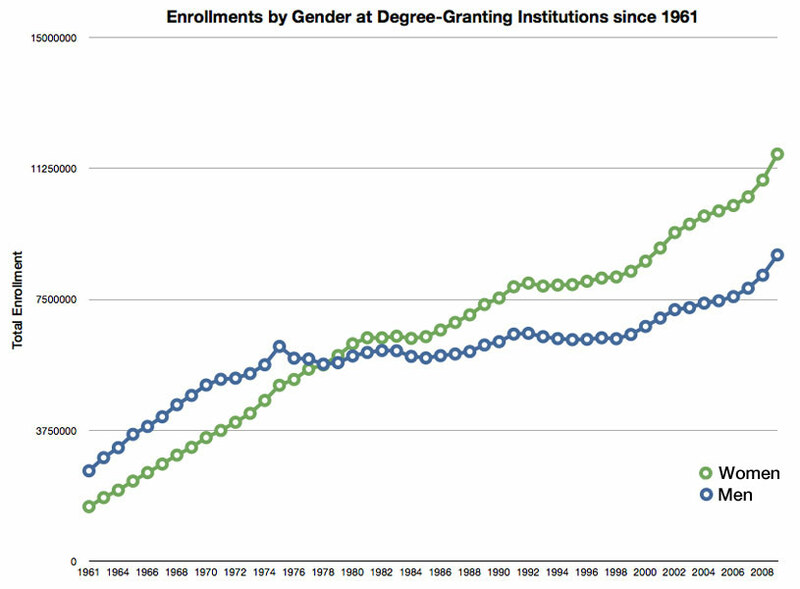 By 1967 women were 40 percent of all enrollments. In 1979, for the first time in American history, women were more than one half of total enrollments at American colleges and universities. 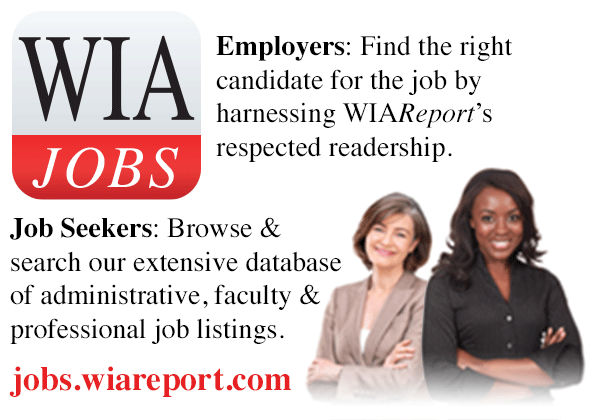 In 2009, the latest year full data is available, women made up 57.1 percent of total enrollments. This is down slightly from 2005 when women were 57.4 percent of all Americans enrolled in higher education. In 2009 there were 11,658,207 women enrolled in higher education compared to 8,769,504 men.